Dreaming of spiders can mean many different things. The spider can often come into our lives as a symbol or spirit animal to help us better understand and survive through difficult situations. 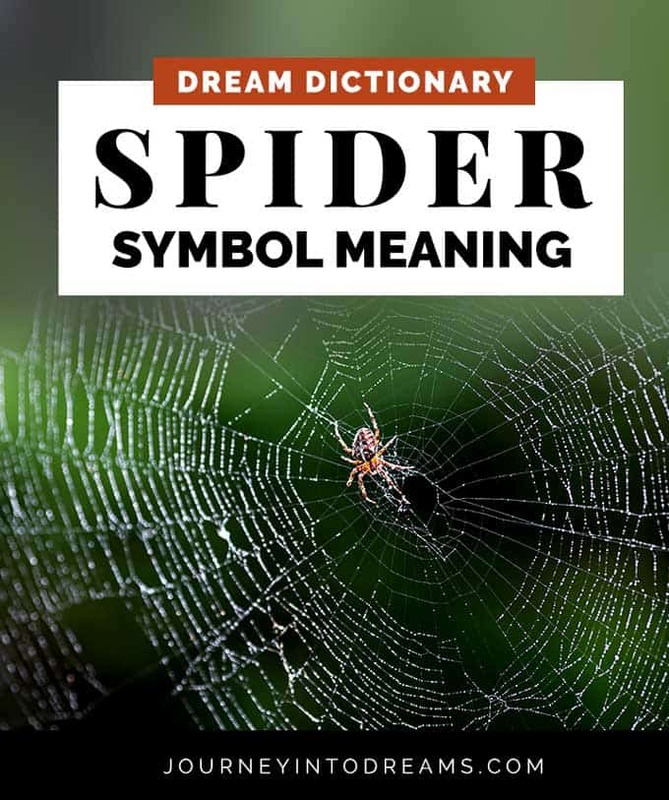 By interpreting your dream of a spider and understanding what this symbol means if you encounter it, you can often times have a better outlook on life. Many people are afraid of spiders. Spiders are right up there on the list of things people are most afraid of, such as things like being afraid of snakes and public speaking. Fortunately, once you learn to understand the spider as a symbol and the positive characteristics of a spider, you may find you are no longer so afraid of them. You may even learn to love spiders, as I have! Often times, we see a spider as something bad and negative, when in reality this is not typically the case. In nature, spiders have an important role in a balanced eco-system. All of us as humans have negative characteristics - even though we may not want to accept this truth. We all have fears and anxieties, and we also are capable of experiencing negative emotions - things like hatred, disgust, greed, jealousy, revenge, and sorrow. A healthy person must learn to balance these feelings. It is not natural to simply dismiss negative emotions - we cannot just remove the bad parts of ourselves, even though that seems like it would be the solution. The true solution is to learn to heal these negative feelings and transform them into positive qualities and strengths. Only when we are able to balance the dark side and the light side with each other can we have peace in our feelings and thoughts. We often associate spiders with darkness and the unknown - seeing a spider in a dream is often a sign that there are hidden aspects to our own emotions or in a situation in our life. The fear of the unknown is truly what most of us are afraid of. If you have a dream about a spider, it is important to take into consideration all of the details of the dream. For example, you might want to think about the location where the dream takes place, what people you dream about, or whether there are any prominent colors or numbers in the dream. Paying attention to these sorts of details in your dream journal can help you better understand what the dream means. Learning how to interpret your dreams successfully will help you realize more often than not this symbol is not one to be afraid of but rather one that can help you better cope with challenges in daily life. Another important thing to think about is how you feel about spiders and any feelings you may have experienced during the dream. Take some time to think about your own personal associations with spiders and how you feel about them. If you are afraid of arachnids or any type of creepy crawly thing for that matter, you are going to have different feelings than someone who has a tarantula as a pet! When you are afraid of these web weaving creatures in real life, dreaming about spiders can sometimes mean there are other subconscious fears surfacing. Often times these dreams can be a lot like nightmares. Spider dreams may be scary when you have them, but more often than not they serve an important purpose. Dreaming of a Giant Spider: A very large spider in a dream can mean there is something in your life that is becoming too big to ignore. This in many cases could be your own feelings and emotions about a situation. It could also be a message that you have been ignoring something for too long. You may feel as if things are out of your control. If you see a spider weaving a web: Seeing a spider weaving an intricate web can often be a sign and symbol for you to remember how we are all connected. You may be trying to understand a situation in more depth. This could also mean you are thinking about design and planning. Are you starting something new and wondering what steps to take? Being Eaten by a Spider: If you dream a spider is eating you, it likely means that you are being swallowed whole by feelings of anxiety or grief. You may be afraid of facing your true feelings about a situation. You may be facing a situation in life that you would rather ignore or avoid, but you are aware that confrontation is inevitable and you afraid of this confrontation. Being Chased: Being chased in a dream is a common theme for many dreamers, and it often represents that you are running away from problems or that you do not feel like you have control over a situation. Killing a Spider Dreams: If you dream you kill a spider, it can mean that you are not afraid to confront your fears or your own darker aspects of yourself. You may be feeling victorious after dealing with an unpleasant or difficult situation. See related symbol: Killing dream meaning. Rescuing a Spider: If you see a spider in a house in your dream and you do not kill the spider but instead carefully and safely move it to a different location outside, this could be a reminder to be gentle with yourself about your feelings. It could also suggest to find a solution for a problem you are facing that will be mutually beneficial for all parties involved. Dreaming of Cobwebs: Cobwebs can mean there are things you are neglecting or are not paying attention to in your life. It could also represent something you still have feelings about in the past. It can mean that you need to take care of basic tasks and matters before moving onto new things. Sometimes the location of the spider or cobwebs can also have meaning. For example, if you dream about an attic this could mean you are neglecting your creativity or spirituality. See related post: What it means to dream of a house. Many people wonder if spiders are spirit animals, since in fact they are not animals. However, they are a living creature - and yes, all living creatures have a spiritual presence and meaning! Just as we might have a certain type of tree or element we identify with - these creatures too can have some sort of significance in meaning in your life! When we see spiders, we should think of them as reminders to not be afraid of seeing a situation for exactly what it is. We may even want to ask ourselves, what is "bugging" me? The chakra we can associate with spiders is the root chakra. This is the chakra which emphasizes everything about our feelings of safety, security, and general well-being. The color for this chakra is red. When our root chakra is not balanced, we may find ourselves more prone to angry outbursts and feelings of sadness and fear. When we see a spider symbol, it typically means that we need to look at our true emotions and bring them into our conscious awareness. There is likely something in your life that needs to be explored in more depth, even if it is something you would rather not deal with. We also need to think about acceptance. Often times this symbol is a metaphor for what we may not want to accept in our lives. For example, this might relate to feelings you do not want to deal with. This could be a fear of something that is causing you to avoid a situation. Sometimes it can even be a sign you are afraid of the unknown. 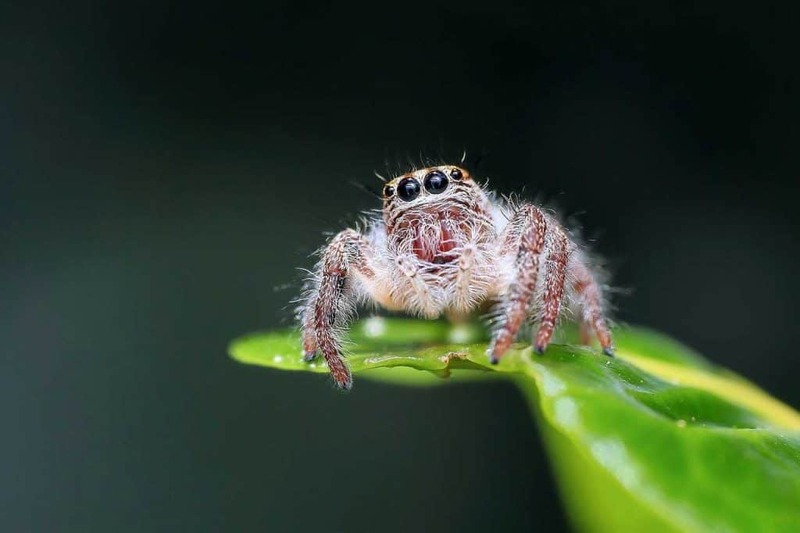 Do you have a dream about spiders you would like to share? Tell us your dream experiences and what the spider symbol means to you in the comments section below.